Electrical cords are just never going to be pretty, no matter how hard we try. Power strips leave a lot of room for improvement, however, and have been made over plenty of times by designers who are sick of the regular plastic eyesores. 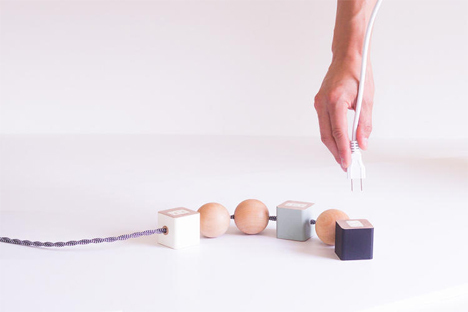 L.A. design studio Okum created a playful sculptural power cord they call Oon. 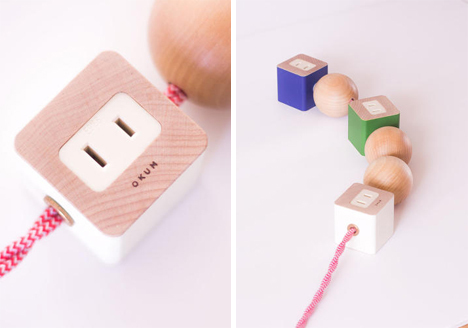 Okum designers have taken this purely utilitarian object and turned it into something that looks like a fun, decorative, sculptural object. 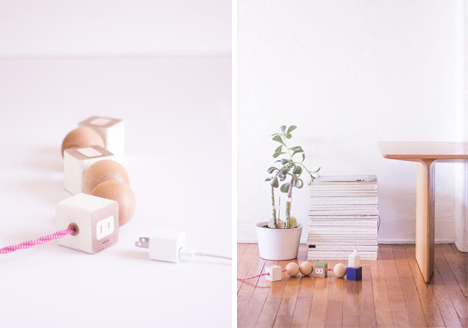 The Oon is available for $79 direct from Okum – but given the fact that it does look like a baby toy, we definitely don’t recommend using it in a home where small children reside. See more in Home & Personal or under Gadgets. June, 2014.